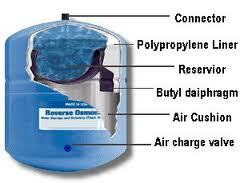 This page features cutaways of three reverse osmosis tanks. The first is an actual tank that was cut apart after it failed. In the first tank, water goes in and out through the valve on top. Air is added through the valve on the right side near the bottom. 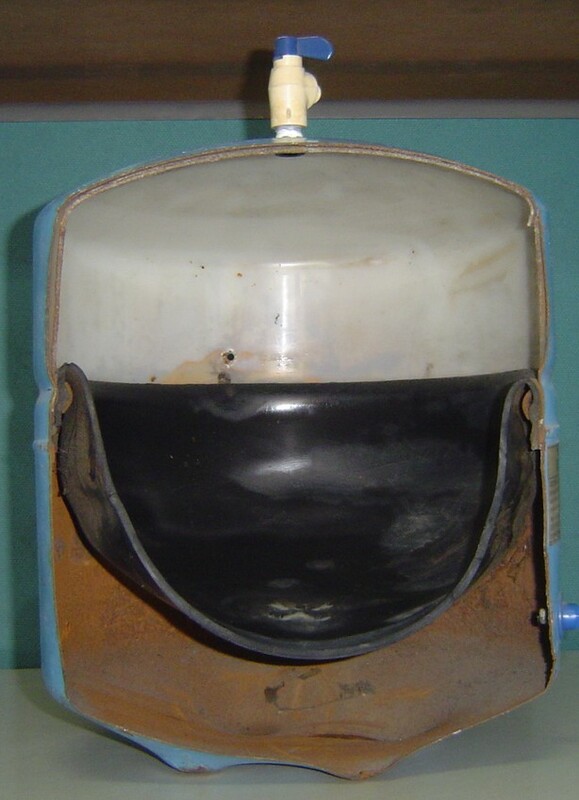 The butyl diaphragm is pushed toward the top by air pressure when no water is in the tank but as the tank fills it compresses the air and the diaphram sags toward the bottom of the tank. 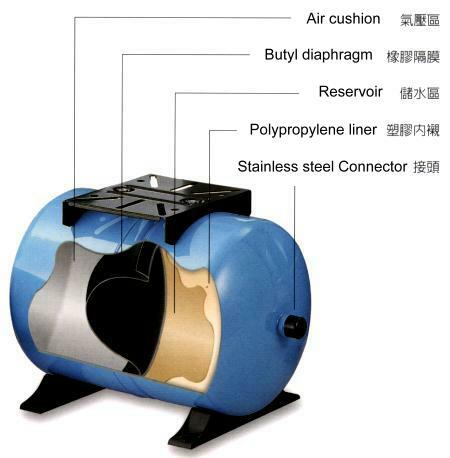 When there is a demand for water, the compressed air pushes the diaphragm upward and forces the water out through the valve. The three tanks pictured work identically although the one in middle of the page is mounted on its side.